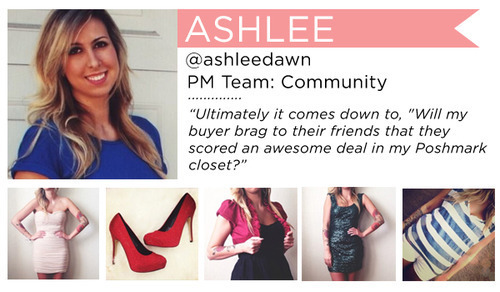 One question we get a lot at PMHQ is how to choose the best price for your listings on Poshmark. We know each Posher has her own strategy for making the most money while giving the best deal to their customers. 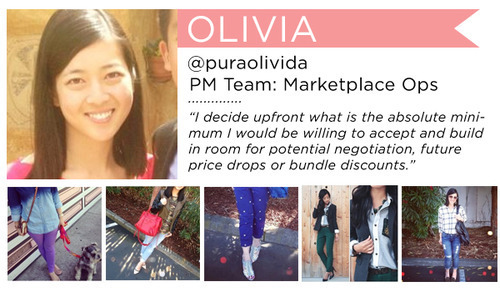 Read on to see how PM team members decide on a selling price! Original price is important because I want to be able to give buyers a great deal. An item is not as enticing if they can buy it at their local mall for about the same price. The condition of the item plays a huge part as well. Signs of wear: stains, holes, pilling, fading color, etc. means I’ll generally offer heavy discounts. Who will want to buy it if they can pay a few extra dollars for it brand-new somewhere else? Lastly, I think of demand: Is it sold out in stores? A popular designer? A must have this season? I like to offer at least 30-40% off retail price on my items, and even more if it is a style or brand that is mass produced and can be found anywhere. Market price: I do a quick search to see what price comparable items are actually selling for (not the same as what they are listed at – it’s only a true market price if it has sold). Willingness to pay: How much would I be willing to pay for the same item in the same condition? If I wouldn’t pay $75 for a gently-used non-designer sweater, I can’t expect someone else to. Brand popularity: From personal experience, fashionable mass-market brands like J.Crew and Zara sell well and quickly, which translates to how much I can price it. Some of my favorite brands are more niche and less often searched, which may require me to price at a higher discount. Current vs. dated: I might be able to get more for a gently used item that is still in style, compared to a NWT branded item from several years ago. I do a quick search for the item on Poshmark to see how others have chose to price similar items. This step ensures that my price is fair and reasonable. Now it’s your turn! 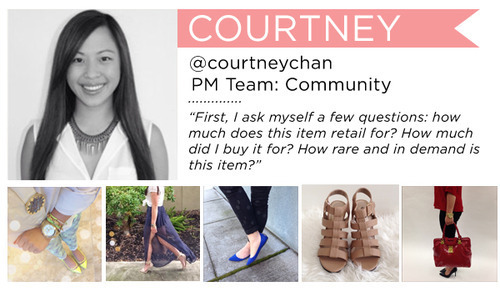 We want to hear how you select a selling price in your closet. Leave a comments with your best pricing strategy tip. Next Post Friday Five: Good Morning, Posh Nation! I think these are great tips for pricing items! I always try to price my items as low as ill accept plue 5-10$. People love making offers and if i list it at my absolute lowest, im more likely not to sell it. The only thing I would add is not to criticize another posher if you feel the item is overpriced. I do see quite a few closets that I feel are over priced too but I just don’t buy them. It’s rude to call someone out on that, they will figure it out when noone buys it!